The Bible says God Created man in his own image. 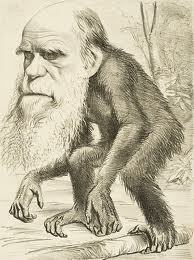 To believe in Evolution and that man came from a single cell that mutated into a monkey then into a man. That is Blasphemy to say that God is a Monkey or a single cell or that the Bible Lies. This site is not of the Son of Yahweh and Mary. It is a joke. I guess it is on you.